Happy Sunday! I hope you had an amazing weekend. Sorry for the short blog silence, but I was pretty sick for the last couple of days. I don't know what it is about this year, but I've already been sick like 3 times. That's all of my sick days used up within the first quarter of the year and I swear it just keeps getting worse every time. Does anyone else feel the same way? I felt like a little kid this time with one of those 24 hour stomach flus that just totally wipes you out. No fun at all. I hope you all avoid this one. But on to super fun things -- clothes! I bought this top from the Obviously Chic pop-up last week and I just love it. They run quite small so make sure to purchase a size up. As long as you do that you'll be super happy with it. Mine is a size large and I'm 5'9" so you can judge by that. 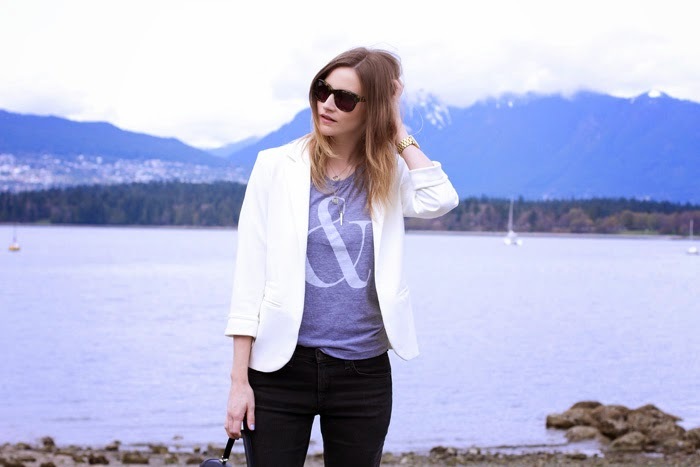 Another new item is this perfect white blazer from Sheinside. 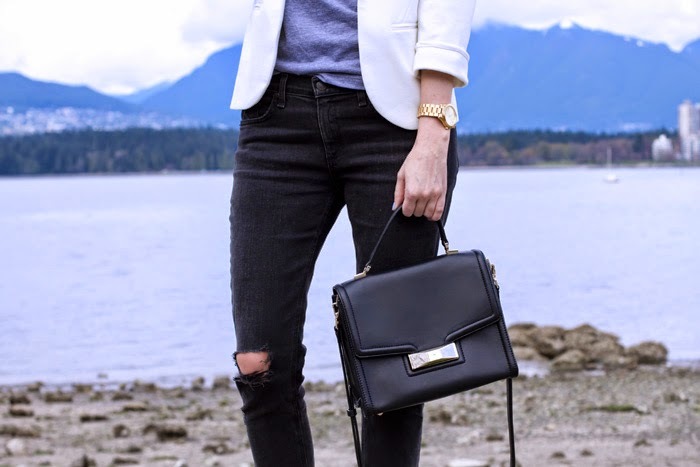 I've been eyeing their low-priced trendy pieces for quite a while now and am so happy with the quality and fit. It arrived to my house at a reasonable speed as well, so I'll definitely be using this site a lot in the future. Hello new summer wardrobe! Sorry to hear that you were sick again, dear Alison...I truly know how much it stinks to be laid up!! But you've found a great, casual-chic look here to ease you back into "the land of the living" (haha! 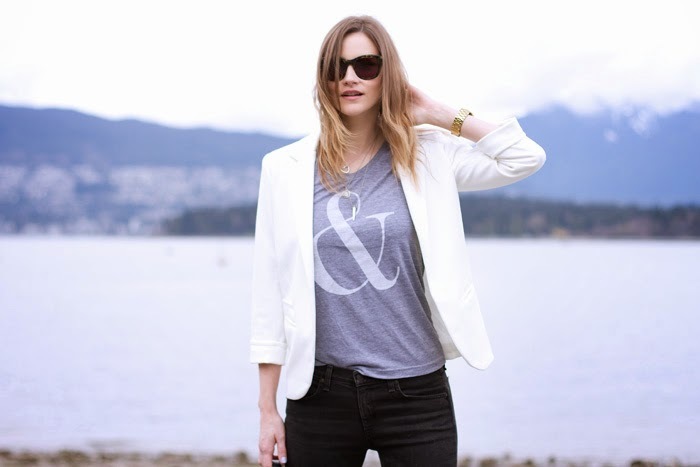 )...that ampersand tee is just the kind of graphic that catches my eye, too! !